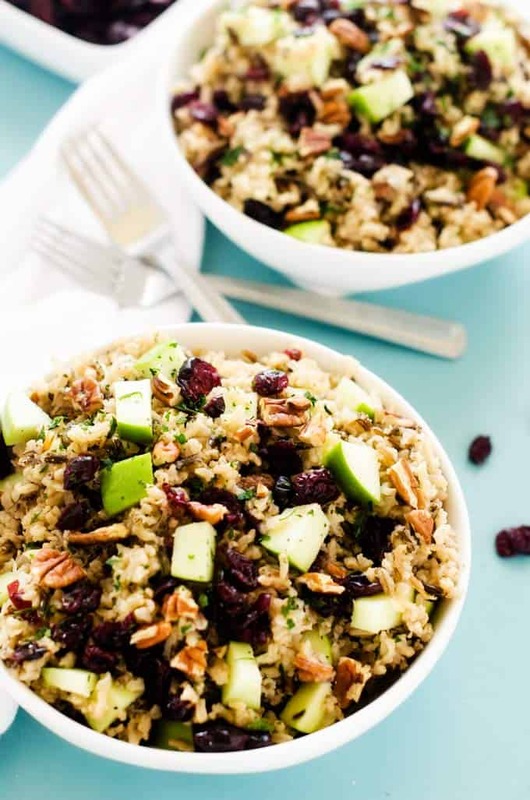 This Cranberry Apple Wild Rice Pilaf is a simple fall side dish. It is vegan and gluten free, making it the perfect addition to your holiday table. I’ve mentioned before that I can be a bit quirky. I eat salad for breakfast, am obsessive about my to-do lists, and get excited about the strangest things. As an example, one day a couple of years ago my husband bought me flowers and a monster container of sharpies on the same day. Most women would have been thrilled with the flowers. And while I was certainly appreciative of the sentiment, it was the pens that had me all excited. First, they showed that he got me. Second, more beautiful colors to mark off my to-do list every day!!! You know what gets me even more excited? A full pantry and fridge. There is just something about having a house stocked with food that gets my creative juices flowing. One thing you will almost always find in my pantry is Ocean Spray® Craisins® Dried Cranberries. They are a staple that I never like to be without. All three of my kids like them and they are one of Alex’s favorite snacks. Since 1/4 cup of dried cranberries provides 1/2 cup fruit, they are a snack I can feel good about. They are also great in salads, oatmeal, cereal, and yogurt. I love having foods on hand that makes living a healthy lifestyle easy and enjoyable. 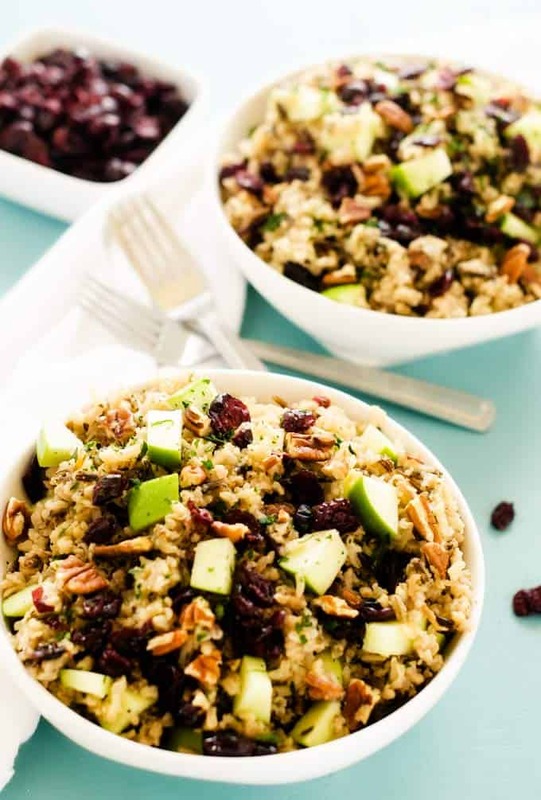 Perhaps my favorite way to enjoy dried cranberries, especially this time of year, is in recipes. They make everything taste better. 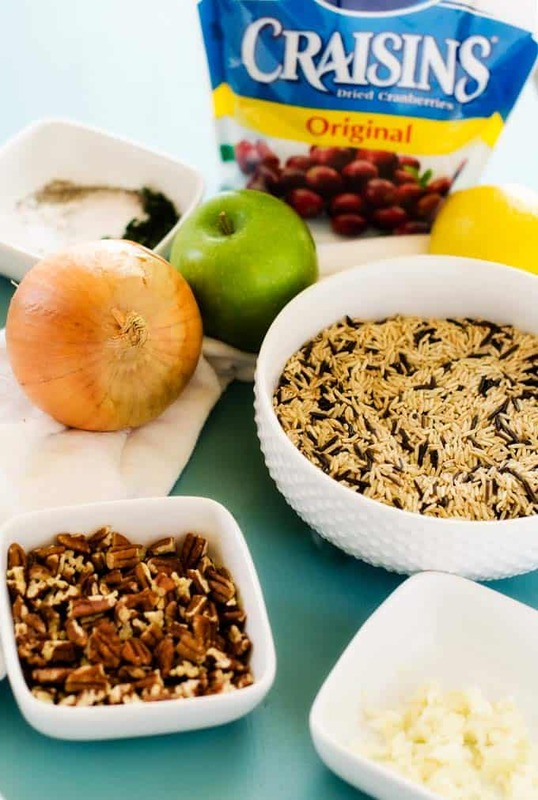 I love how Craisins® Dried Cranberries elevate a simple rice pilaf like today’s Cranberry Apple Wild Rice Pilaf. They add a special zing that takes rice from boring to special. 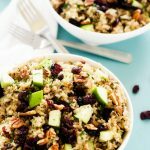 In fact, while this simple rice pilaf is easy enough for any fall meal, I would go so far as to say it is delicious enough to grace any holiday table. Heat olive oil in a large pot over medium heat. Add onion and cook for 8 to 10 minutes, until tender. Add garlic and cook for one-minute longer. Increase heat to medium-high and add wild rice. Cook for 2 minutes, stirring often. Add broth, thyme, sea salt and pepper. Remove from heat and let stand covered for 10 minutes. Toss together diced apple and lemon just in a small bowl. 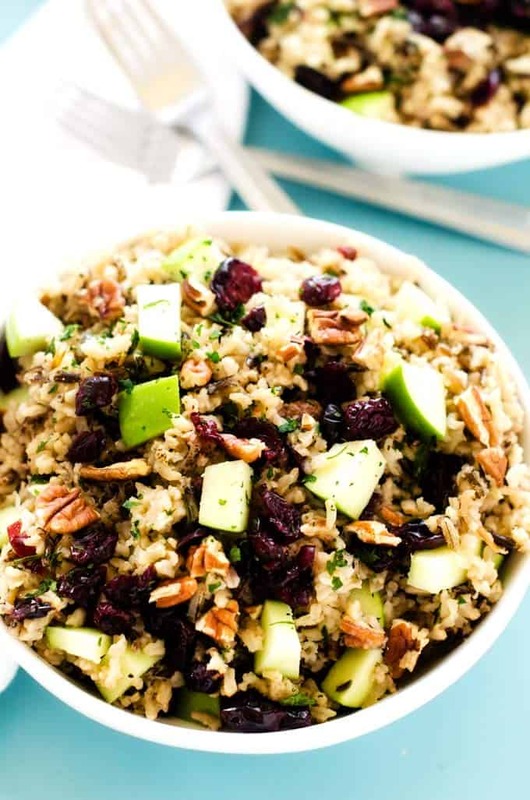 Add apple, dries cranberries and pecans to the rice and toss. Garnish with parsley and serve warm. 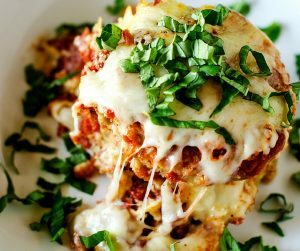 This is so perfect and DELICIOUS for fall! Okay, I do find the salad for breakfast thing weird, but I would totally get excited about a gift like assorted sharpies! And speaking of full fridges, mine is not. 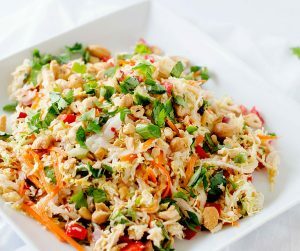 Time to go shopping so I can make this pilaf – it looks delicious! this looks like the perfect fall side!! Dried cranberries are delicious in salads, I have never thought to put them in rice before.